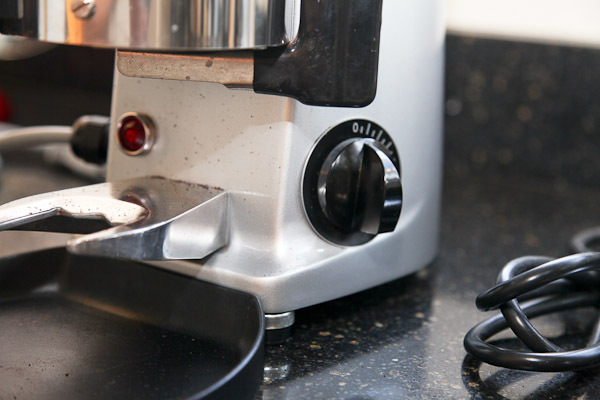 The Macap M4 is a better choice for most home users that just want an espresso grinder. 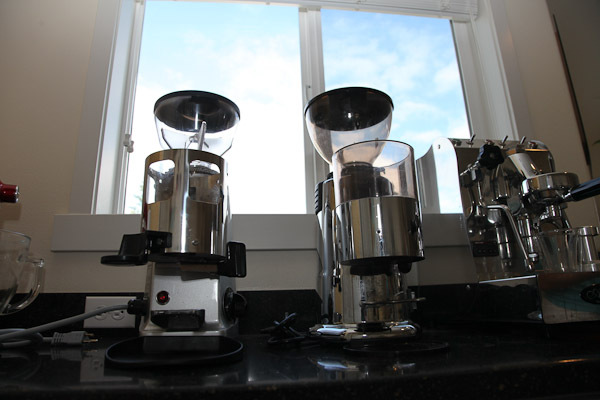 The Macap M4 doser is considerably neater than the Mazzer’s. 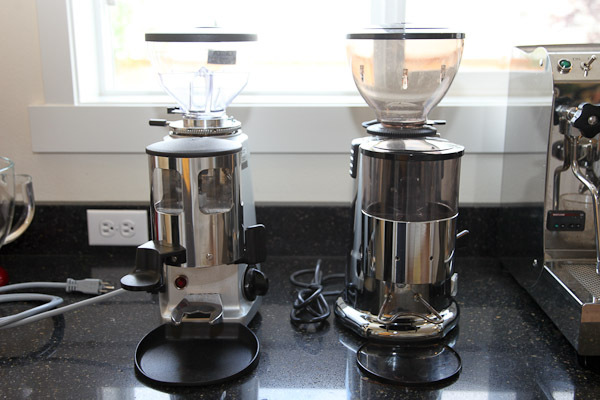 From a grind perspective these are both very good home espresso grinders and they use a similar grinding mechanism. It’s very difficult to notice any perceptible difference in the cup. So for our purposes it’s everything besides the grind that matters. 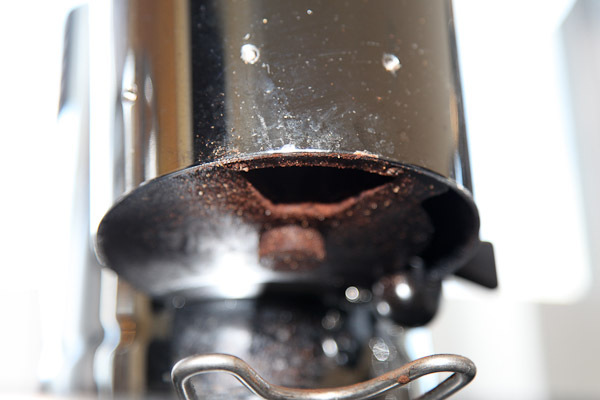 – It’s very fast to switch from espresso grind to french press. Grab the pin and turn the top. 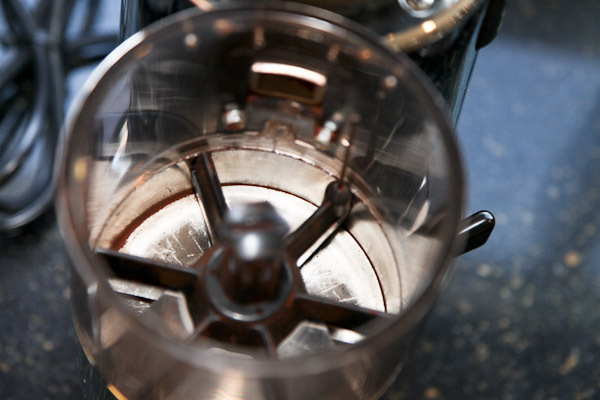 – It’s easier to see the reference numbers on the grind adjustment mechanism. – The doser is far neater. 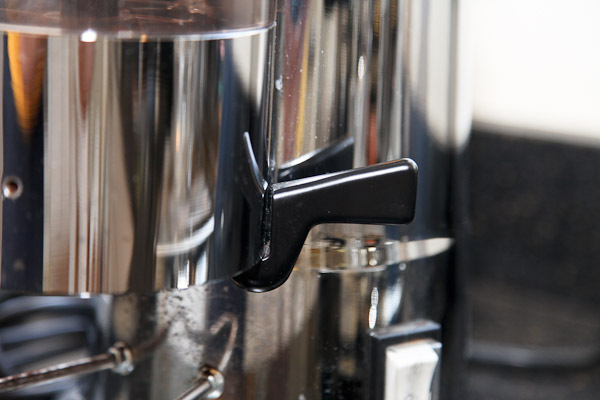 There is less distance between the doser and the handle holder, this makes it easier to keep all the coffee going in the handle. – It’s easier to make micro-adjustments to the grind. 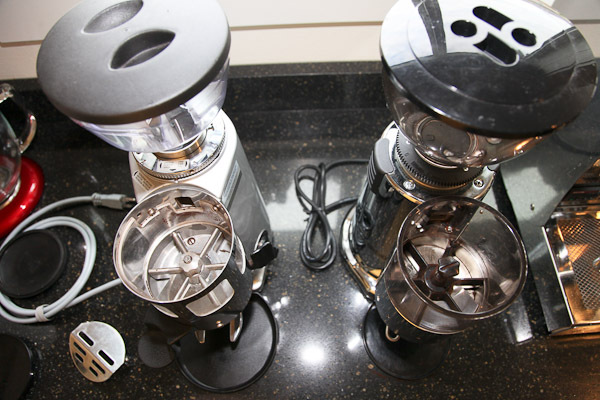 If you just want an espresso grinder this is great. 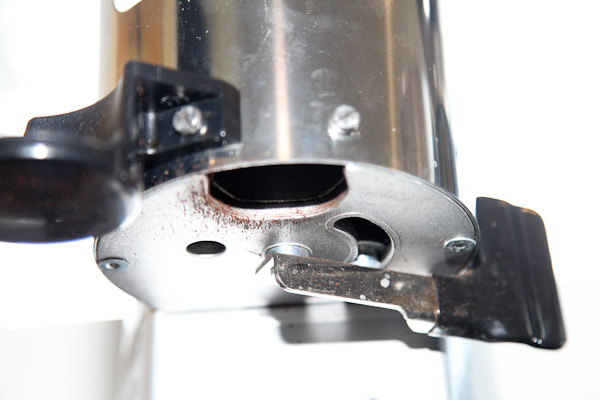 – The cord comes out of the bottom of the machine. 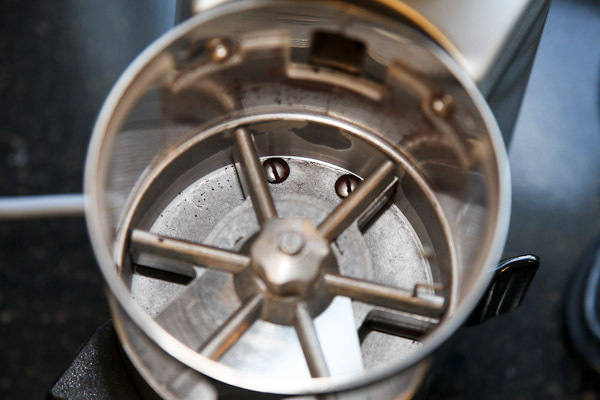 Many users report this as a huge feature vs the more commercial design of the Mazzer. – It’s a few dollars cheaper if you’re buying brand new. The Macap (right) is a little flashier. 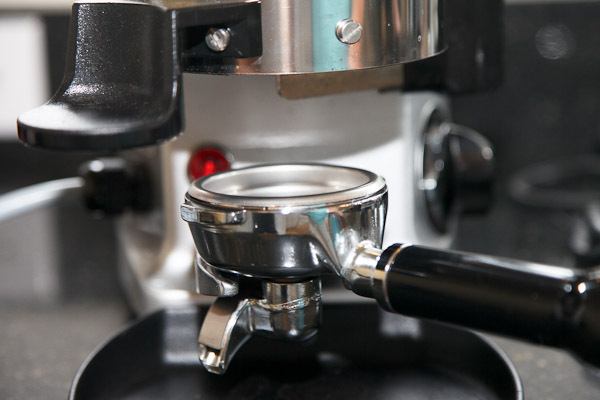 Mazzer has a timer switch. 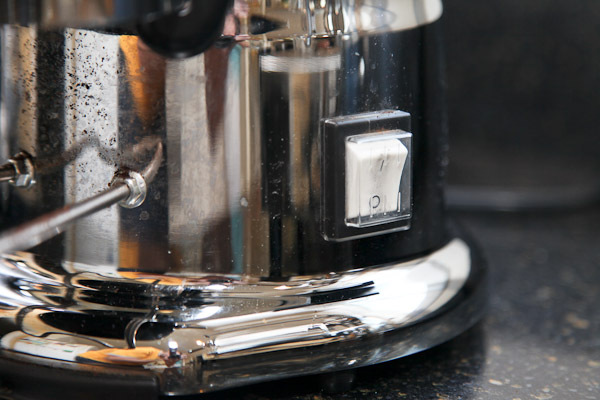 The Macap has regular on/off switch. 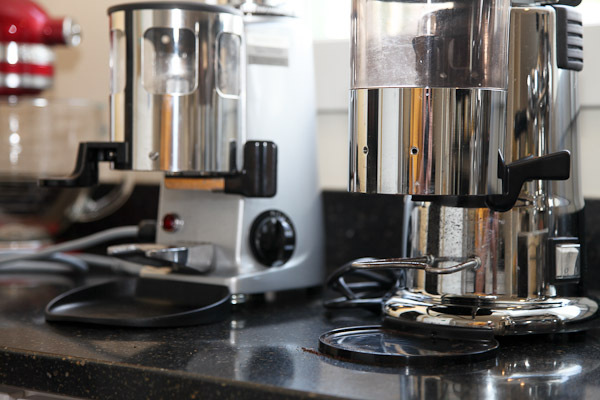 Macap doser (notice less distance between handle and doser). 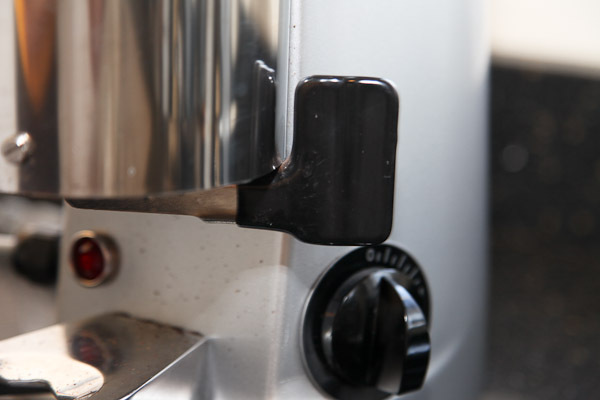 Mazzer doser with handle. 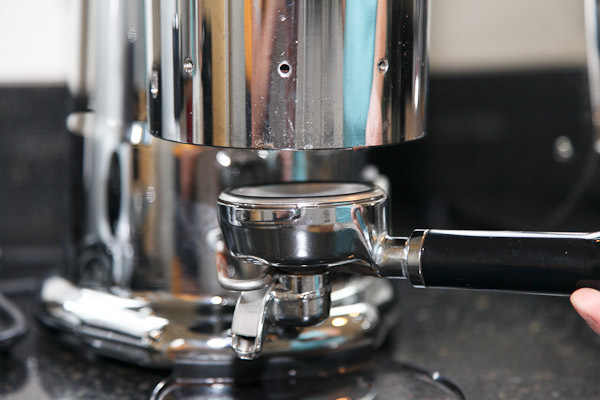 The extra space gives the falling coffee more opportunity to miss the handle.